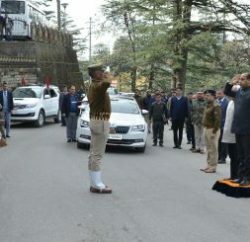 Shimla: The Budget session of Thirteenth Himachal Pradesh Vidhan Sabha will begin on 4th February, 2019. The notification to this effect has been issued today by the Secretary, H.P. Legislative Assembly. Due to forthcoming Parliamentary Elections there will be thirteen sitting only. However the rest of the sittings would be covered in the next sessions. As per the tentative calendar which has been approved, the Session will begin on 4th February, 2019 with the address of the Governor and last upto 18th February, 2019. 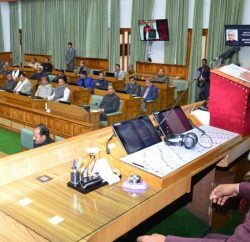 The supplementary budget for the year 2018-2019 will be presented on 4th February, 2019 and budget estimates for the year 2019-2020 will be presented by Chief Minister on 9th February, 2019. The discussion on the budget, demands and voting will also take place and the appropriation bills will be passed. Two days have also been earmarked for Private Members’ Business. Besides this, the House will also deliberate on important Legislative Business during the Session. 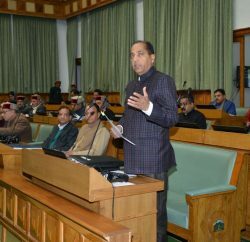 The Speaker expressed hope that the Members would utilize the Session for fruitful discussion on various matters of urgent public importance and the House will find unanimity on the issues of State’s paramount interest.